Aaaaaaaaall aboard! 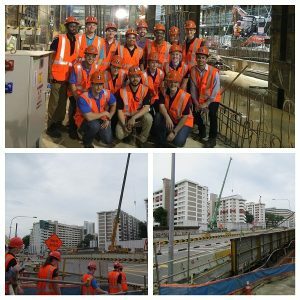 The Global Leaders woke up bright and early to visit one of Singapore’s most widely used civil infrastructure systems. With hearts full of excitement and dreary eyes from long travel, we followed the tracks to the Mayflower Mass Rail Transit Station. The station is located in Ang Mo Kio along Avenue 4. 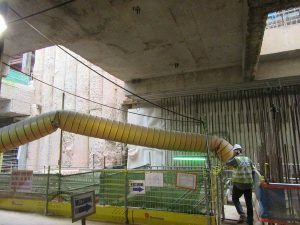 Underground one can hear as the skilled labor are hard at work constructing the 43km-planned Thomson-East Coast Line. 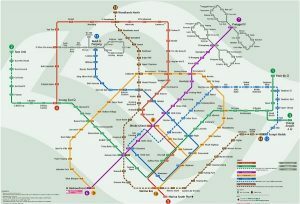 The Thomson-East Coast line will consist of 31 stations and will be Singapore’s sixth rail line. 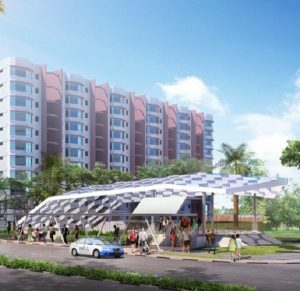 The first stage of the project will complete the construction of three stations at Woodlands North, Woodlands, and Woodlands South by 2019. The second phase is expected to be completed a year later, finishing six stations, including the Mayflower. 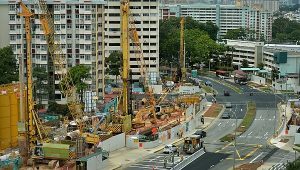 The third phase will complete construction of the CBD and the Marina Bay area, reducing travel time for Woodlands South by 35min. The fourth phase will span towards the east of the city, expecting to open in 2023. Full completion of the Thomson-East Coast Line will occur in 2024, adding to final stations in the fifth phase of construction (Kable). The total cost of the full line is estimated at about S$2.73 billion. All MRT stations are run and operated by the Land Transport Authority (LTA). The design-build contract for the Mayflower Station was awarded on October 17, 2013 is worth close to $175 million. But who’s the conductor for the construction operation, you ask? The Gammon Construction Lmtd. of course! The Mayflower Station will have 7 separate entrances surrounding the station box where the rail tunnel and loading station will be located. Gammon’s main purpose is to complete the station before the soil boring machine arrives from the previous stop. Construction of the station will undergo several levels including a Subway Roof, Roof Slab, Concourse, Mezzanine Level, and Base Level. For the Station Box, secant bored piles were installed to stabilize the perimeter walls of the underground structure. 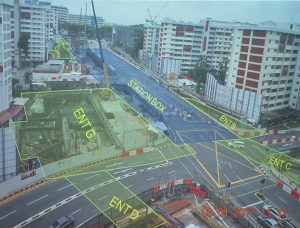 Both top-down and bottom-up approach will be implemented to excavate and construct the station. Currently, the project is 70% complete, experiencing over 2.5million man hours of labor. 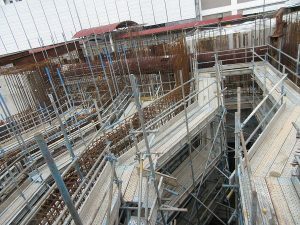 The main focus now is finishing the exterior shell of the station from a secant bored pile wall to a concrete finished surface including waterproofing, equaling to a full wall thickness of 1.9m. Of course, there is never any project without its unique challenges. Along the full span of the station, there exists a 10 m elevation change. Along the perimeter exist several residential blocks sitting on shallow foundations, eagerly awaiting movement if settlement is not monitored regularly. With much to wrap one’s head around do not forget about the required earth retention, traffic diversion, waterproofing, utility rerouting, …and of course, pleasing the architect and his design.With so much to tackle in such a competitive market, Gammon started to get innovative. With so much rebar required on site, it put a strain on the cost of labor and cost of material. 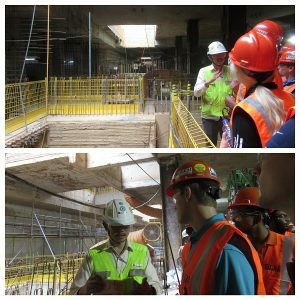 With the perks of design-build, they worked with the designers to install assymetrical rebar cages. Additionally, the contractor tried to prefabricate as much as possible offsite to reduce labor costs and time. 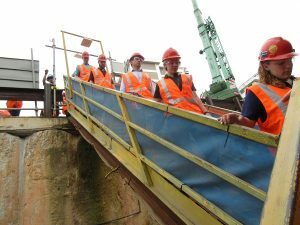 A mono rail system was also installed within the lower quarters of the station to aid in dismantling and lifting any massive structural components. The instrumentation worked similarly to a horizontally sliding crane attached to the ceiling every sublevel. 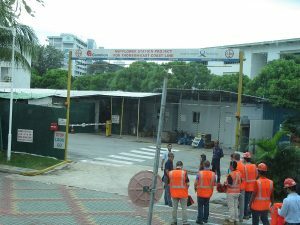 This system was specifically designed for this job and was the first of its kind to be installed in Singapore! It was a successful approach to Gammon’s drive for innovation. But, unfortunately, our trip had to end and we had to part with the amazing team. 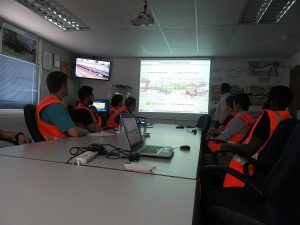 The Global Leaders specifically want to thank Ramasamy Thangavelu for the informative and descriptive presentation, as well as, Choon Chan Wai, Shafier Salim, several other team members for leading us down for a tour of the site. 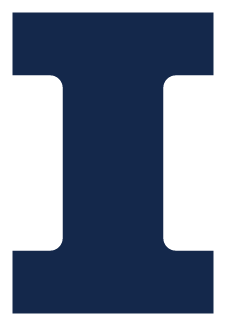 It was truly a worthwhile experience! After our site visit, we walked across the street to eat at a local favorite for some delicious Chinese food as our first abroad meal together. Everyone adored the chicken and rice, while others may have squinted at new flavors trying lotus root and the hot chili sauce for the first time. With some practice, we will leave as food experts of Southeast Asian cuisine.